Gam Fratesi took inspiration from the traditional sewing basket when designing the modern and refined Cestlavie accessories. The material sensations of leather and the lightness of the metal architecture meet in a striking and elegant visual synthesis. The meticulous craftsmanship pays tribute to Poltrona Frau’s time-honoured leather culture and artisanship. Saddle Extra Leather straps, each expertly and individually hand woven, give shape to the cover. Supported by a tubular aluminium structure, the storage unit appears to be suspended on thin, almost graphic, steel supports. The depth of the leather and the sharpness of the metal create interesting movements of light. 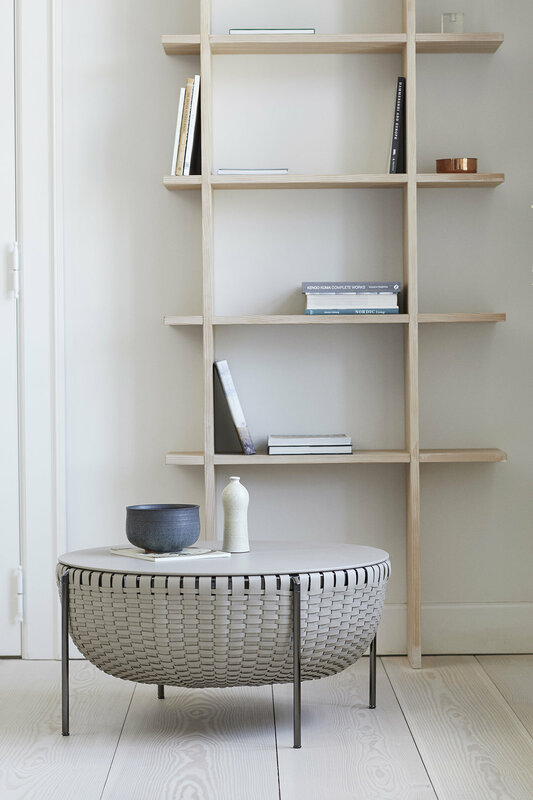 Cestlavie is a storage "basket", but also a small table. The central part of the top, covered in Pelle Frau® leather, can be opened to access the inside while, at the same time, providing a handy support surface. Each detail is precious. The edges of the woven leather bands are also dyed tone-on-tone using techniques typically associated with fine small leather goods. The inside surface of the Saddle leather is also finished with a protective transparent wax treatment.